Although there is a variety of goods in the market, the most attractive goods are, not surprisingly, silk. 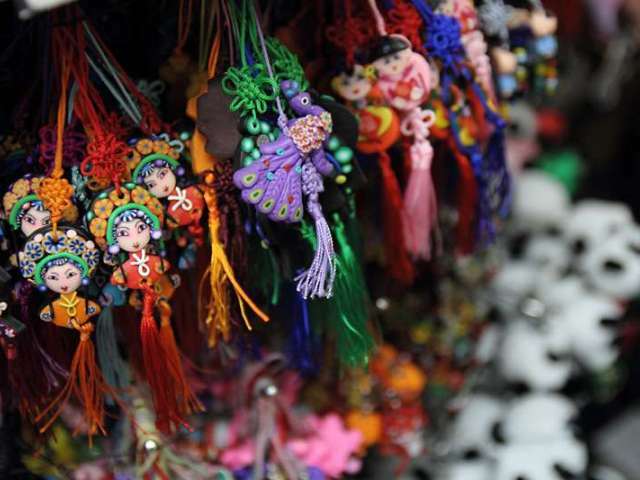 You can buy authentic Chinese silk clothes like Tangzhuang suits and cheongsams. Even a silk museum was built on the third floor. The mall has two districts, South and North. 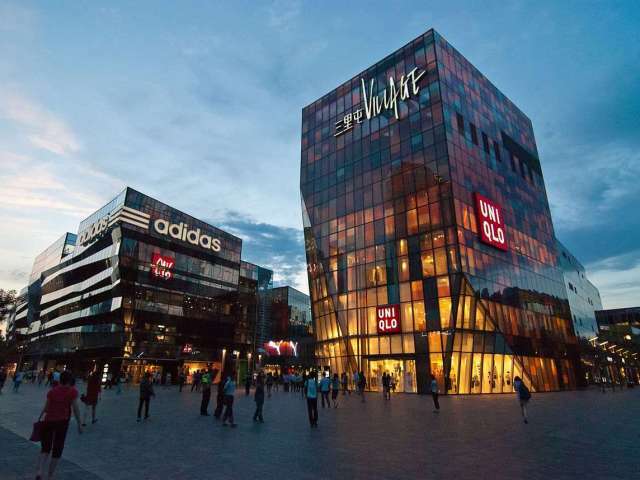 Try some new style clothes in the Japanese fashion brand Store-Uniqlo, which is located opposite the world's largest Adidas brand store. 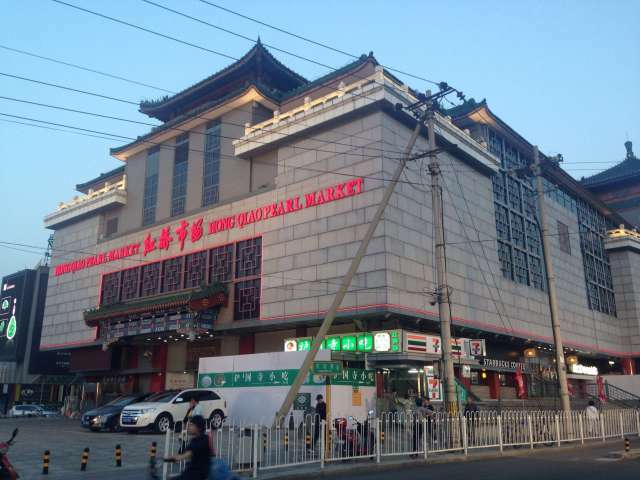 The general quality of the goods here are competitive to any other similar market in Beijing. Try shoes on the ground floor and custom-fitted suits on the third floor. Normally you start at 30% from what they asked. 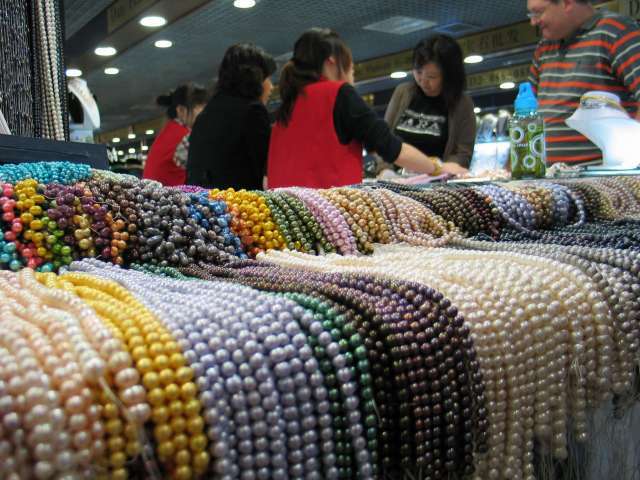 It is the largest pearl distribution center in China and it is also the central part of the market. There are many varieties of pearls, such as colors, sizes or smoothness. The seawater pearl, freshwater pearl, coral, emerald, gem and other precious stones are just a few examples.